A man is reportedly ‘suing' his newly married wife for trauma her odd appearance caused him, after seeing her without make up for the first time, the day after their wedding. The unnamed couple was said to have had their first night together, after getting married in Algeria. 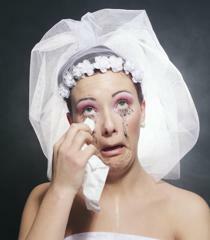 “He said he was deceived by her as she used to fill up her face with make up before their marriage. The man is suing for fraud and psychological suffering which he billed at £13,000.